Sarath Kumar's 2017 season certainly has gotten off to a better start than his 2016 season. 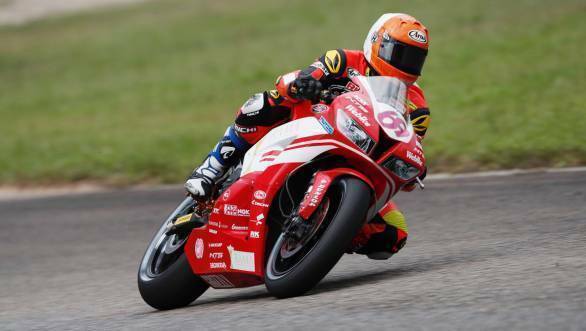 The Indian rider, who competes in the ARRC's Super Sport 600 class with the RAMA Honda Racing team by NTS T.Pro Ten10, managed to score points in the previous two rounds. And he is hoping that he manages to do better at the third round at Suzuka. This, especially since last year's Suzuka round was forgettable for Sarath. "Last year, I did not have a good outing in Suzuka as I was able to participate in only Race 1 and had to sit out of Race 2 due to injury. 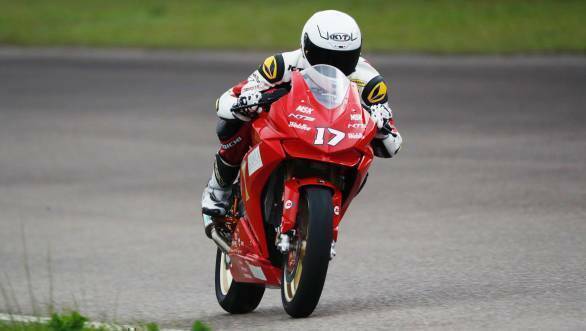 This circuit is very demanding on bikes and I feel I am much fitter this year and I want to improve my timing and position for sure," said Sarath. He went on to say that to do well at Suzuka you need to get into a good rhythm and manage to set the motorcycle up correctly for the race. "My target it to stay within 1.5 seconds of the top lap time so that I can finish in top 15," he said. Meanwhile Rajiv Sethu, who is competing in the Asia Production 250cc class, riding a Honda CBR 250, is hoping to do better than he did at Round 2 of the championship at Buriram. Sethu crashed during practice and had to sit out the rest of the race weekend. "Yes, Buriram was a big disappointment for me, but I hope I will do far better at Suzuka. The track here is one of the most technical in the calendar. Since I have already raced the 2-hour endurance in 2016 , I know about the track . So for me, the goal for this round is going to be a top-8 result in both races though there is much more to learn the competition and fight," said Sethu. John Sudheer, chairman, RAMA Group of Companies, said: "We are close to middle of the season and I think we have good chance this year to once again fight on the top spot. Tiga Hada is doing very well. However, I want to see our Indian riders finish on top soon. They have to put in a lot of hard work and I am sure they will come up soon." Ramji Govindarajan, team manager, said: "In such a competitive and short championship, we have to understand the machine and the competition quickly to adapt and perform which I feel both the riders are doing as compared the previous years. They are able to understand the bikes and the competition well and now and based on that, we have set realistic goals for them for Suzuka and I hope we see a good improvement in their lap times and position."